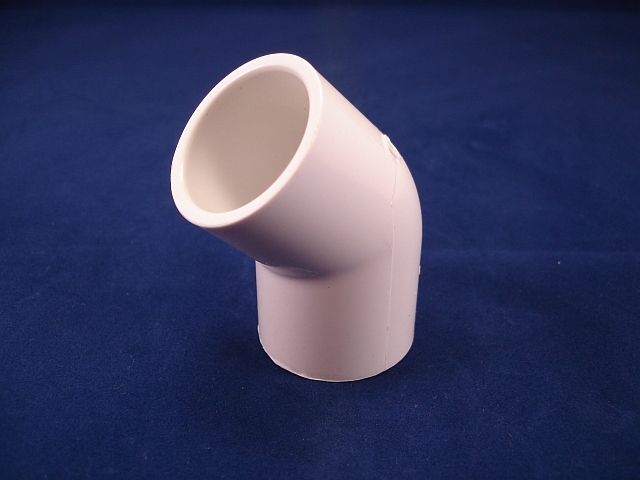 A standard 1 inch PVC 45 degree elbow fitting with 2 press fit socket ends. Great for creating a fixed bend, or use multiple fittings together to create a twisted look ! Works with standard 1 inch Schedule 40 PVC pipe.